Washy watercolour evoking memories of cool mornings in Australia’s iconic Banksia forests. This gorgeous design plays with the idea of light from the lamp filtering through the overlapping silhouettes of branches, leaves and banksias. Shade diameter 28cm, lamp height 50cm (approx). White cord and inline switch. 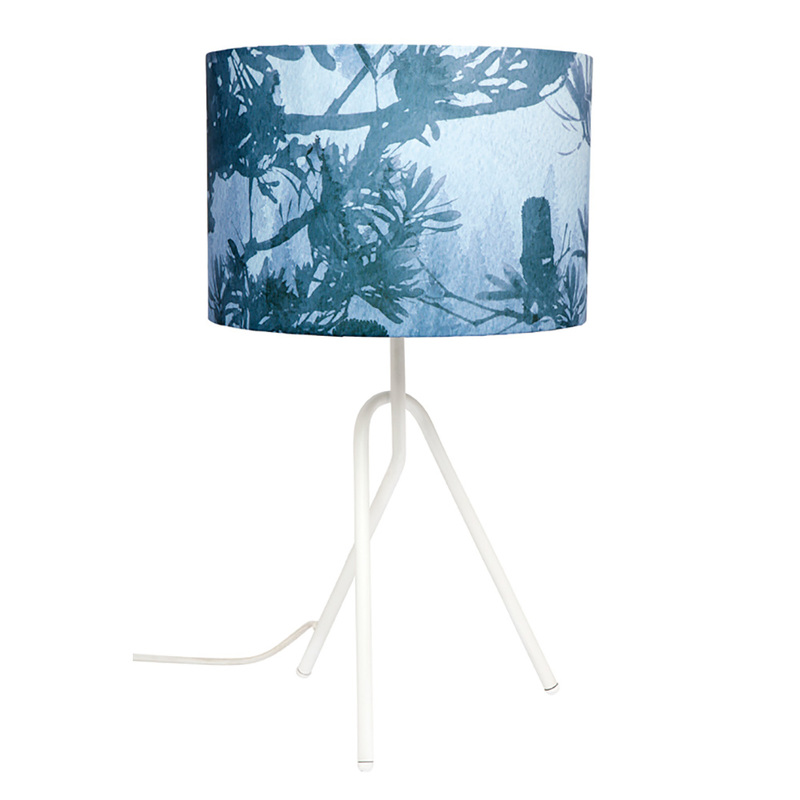 * Blue Banksia Table Lamp ships as a large parcel and does not qualify for FREE SHIPPING offers.